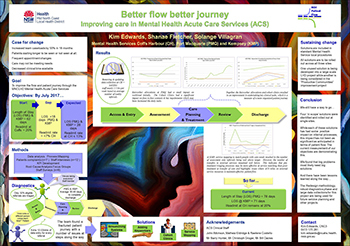 Mid North Coast Local Health District (MNCLHD) introduced a number of solutions to improve the flow and patient journey through its Mental Health Acute Care Services. 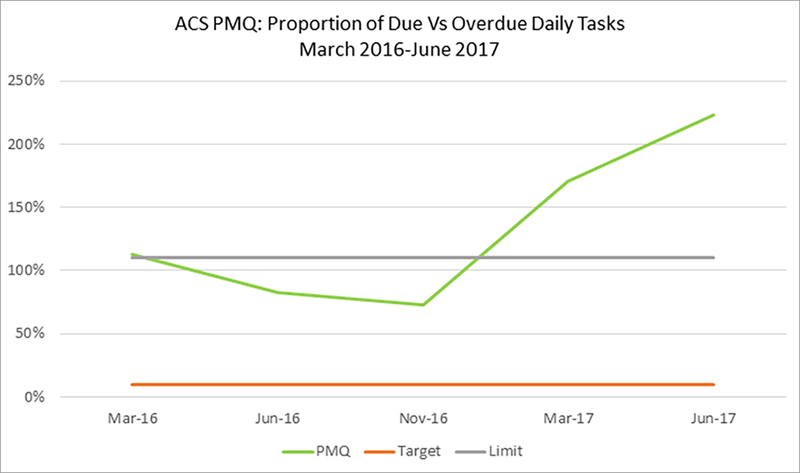 To increase the proportion of Kempsey and Port Macquarie Acute Care Services clients with an average length of stay of 28 days, from 32 per cent to 80 per cent by July 2017. To reduce the proportion of Coffs Harbour Acute Care Services clients with re-admissions within 28 days, from 20 per cent to less than 13 per cent by July 2017. Provides clients with care that matches their needs. Improves client satisfaction with mental health services. Establishes more efficient processes and systems. Ensures that clients complete their program within the allocated timeframe. Reduces length of stay and delays to discharge processes. Allows staff to focus on caring for patients and clinical tasks. Enhances staff satisfaction and morale. Improves collaboration with stakeholders and service providers. MNCLHD Mental Health Acute Care Services has experienced increasing demand for its services in recent years, resulting in a 55 per cent increase in staff workloads over the past 18 months. The Service operates on a 28-day program, however prior to the project, the average length of stay for clients at Kempsey and Port Macquarie was over 63 days. This meant that only 32 per cent of patients were completing the program within the allocated 28 days. Clients at Kempsey and Port Macquarie were also waiting between 30 and 40 days from when they were identified as being suitable for discharge, to the final transfer of care. During this time, there was no ongoing content with the client. 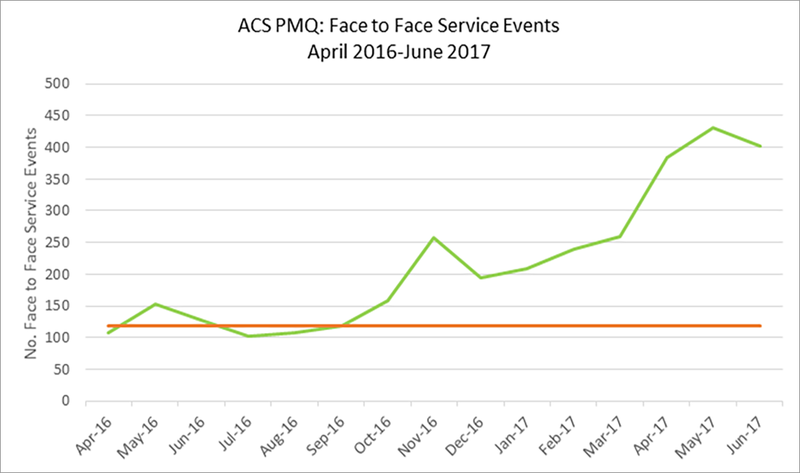 Mental Health Acute Care Services at Coffs Harbour had a similar volume of referrals to Kempsey and Port Macquarie, but with an average length of stay of 10 days. This resulted in significant turnover, with re-presentations accounting for 20 per cent of incoming referrals and 77 per cent of those occurring within 28 days. The average discharge time was nine days, leaving little time for care planning, treatment and review. In addition to these challenges, there was considerable duplication of both clinical and administrative systems across the Service. For every referral, between 12 and 22 minutes was spent adding information to systems other than the electronic medical record (eMR). This was taking staff away from clinical care and costing each team the equivalent of one 0.2 full-time clinical staff member. As a result, the Service was not meeting the needs of clients within the preferred period. Clients were waiting longer to be seen or not seen at all, and there were frequent changes to appointment times. Staff workloads also increased the risk of burnout and low morale, which negatively impacted retention, sick leave and rostering. Following a robust diagnostics phase, the project team found there was a fractured patient journey with a number of issues along the way. The following solutions were identified as a high priority, in terms of their ability to influence change. A review and redesign of data collection systems was undertaken, to improve efficiency and save time documenting information from client referrals. By only using eMR for data management, it was determined that the team could save up to eight hours each week in administration time. New clinics were introduced to address specific groups of clients. This allowed staff to better manage their workload and improve coordination of the care journey. A keyworker role was introduced to maximise coordinated care, improve patient contact and enhance client engagement with the service. This aimed to improve the delivery of care planning and treatment for clients across the Service. Service mapping was undertaken in collaboration with Service partners, to increase available care options for clients in local communities. It also aimed to match client needs with the most appropriate providers, to reduce length of stay and delays in discharge processes. Coffs Harbour, Kempsey and Port Macquarie Community Mental Health Acute Care Services. The project was not completed by July 2017 and continues to be implemented in the pilot sites. The following results have been achieved by August 2017. Data entry time has reduced by 1.5 hours per week and is expected to fall further as implementation continues. The team has removed one duplicate system and is redesigning another in collaboration with the MNCLHD Information Services Unit. The keyworker role has improved clinical oversight during the patient journey, while cohort clinics have improved face-to-face contact with clients. However, both solutions have negatively impacted the workload of staff, measured by the proportion of tasks due versus those that are overdue on a daily basis. While undertaking key clinical tasks is a measure of a coordinated patient journey, the increase in workload suggests it is not a reliable measure of clinical outcomes. Service mapping improved the ability of teams to match services to client needs, however this solution was impacted by the resourcing levels of the referred services. As a result, the number of assessment-only referrals was well below target. The number of transfers of care also remained low, suggesting that service matching may be more effective at the pre-treatment triage stage than during transfer of care. The results also highlight areas where teams rely on resourcing of external services to manage patient flow. While each of these solutions had a positive impact on internal processes, there has been a negative impact on overall patient flow. As of August 2017, length of stay had increased at Kempsey by 15 per cent (71 days) and at Port Macquarie by 25 per cent (78 days). Re-admissions at Coffs Harbour remained the same at 20 per cent. Solutions are still being implemented at trial sites and will be rolled out across MNCLHD following a full evaluation. Two other solutions were identified as part of the project, however they were deemed to be out of scope. They are now being revisited as a whole of service initiative. This project was useful for identifying gaps in an existing model of care project. The leftover solutions are being considered by another team working on a project that is currently in the planning phase. 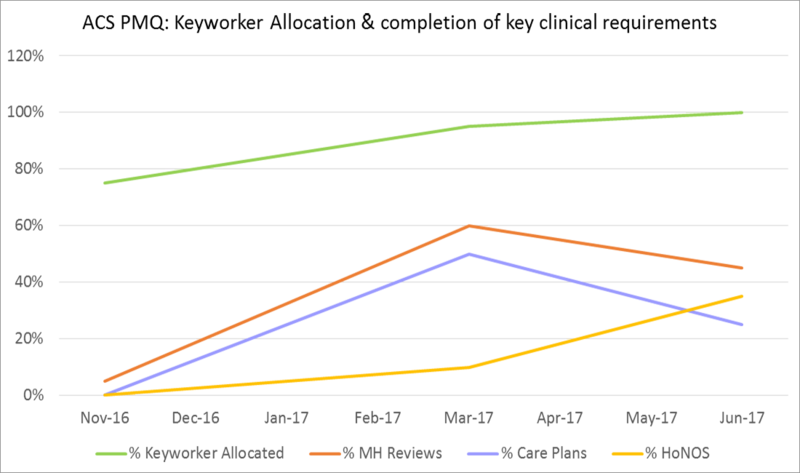 Sponsorship changes and a service management restructure could not have been anticipated and, while the impact has been significant, the project is able to continue.